The athletic director and football coach at Richmond-Burton High School in Richmond, Illinois, was arrested and charged with driving under the influence of alcohol on July 15, the Chicago Tribune reports. 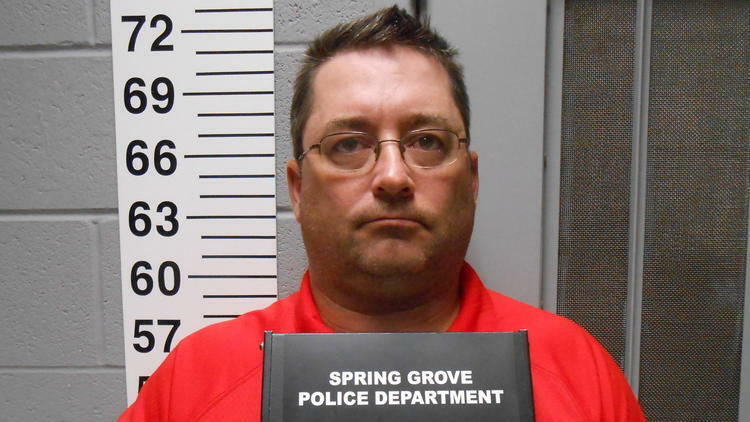 Patrick Elder, 44, of Spring Grove, Illinois, also in McHenry County, just south of the Wisconsin border, will not be coaching the team this fall, on account of his arrest, but he is still employed as the athletic director at the high school, the paper noted. He was found guilty of driving under the influence of alcohol in downstate McLean County, where Illinois State University is located, in 1992 and again in 1995. Doing the math, his age at the time of the first conviction would have made him underage as well. For the 1995 conviction, he served 30 days in jail and two years of probation. When Spring Grove police stopped him this time, he failed to keep his balance during a field sobriety test and refused to take a breathalyzer. Refusing the breathalyzer got his license suspended for a year, but if found guilty of DUI for a third time, it carries a maximum sentence of a 10-year license suspension and seven years in prison. He’s out on bond and due back in court on August 14. The Tribune noted that although Mr Elder would have undergone a background check, the new superintendent for Richmond-Burton Community High School District 157, Tom Lind, said he knew neither the results of his athletic director’s background check nor how it was weighed in hiring him 11 years ago.